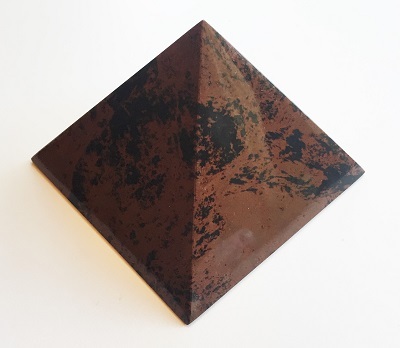 Beautiful chocolate brown and black speckled Mahogany Obsidian Pyramid from Mexico. 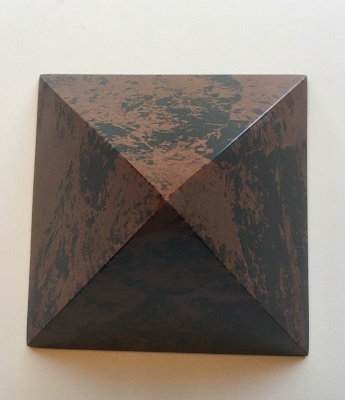 Mahogany Obsidian has a gentler energy than Black Obsidian. Resonating with the Earth, Mahogany Obsidian is energetically grounding and offers protection and strength in time of need. 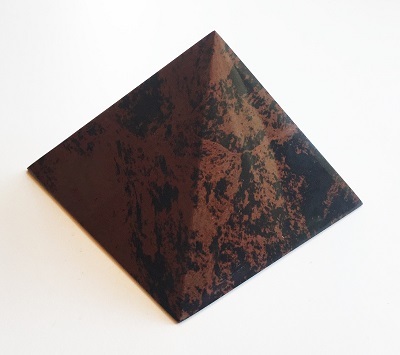 Mahogany Obsidian vitalizes purpose, eliminates energy blockages and stimulates growth on all levels. Mahogany Obsidian is a stabilizing stone that strengthens the aura and restores the correct spin to the sacral and solar plexus chakras. In healing, Mahogany Obsidian has been known to relieve pain and improve circulation. Pyramids may be used to draw off negative energies and remove blockages from the chakras, replenishing with vibrant energy. 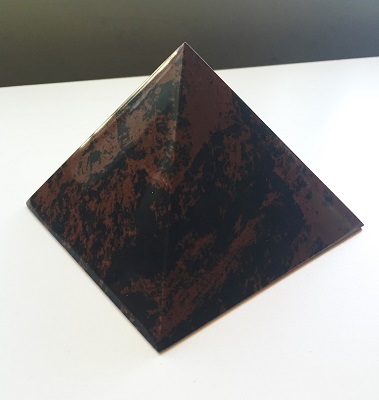 The pyramidal shape amplifies the inherent properties of the crystal. Pyramids focus and amplify through the pyramidal shape and molecular structure of the crystal, and have been used to charge and preserve objects.